Our doctors have been practicing in the Berkley, Southfield, Royal Oak, Oak Park and Ferndale areas for over 30 years. Our office is prepared to provide all aspects of medical foot care including x-rays and minor surgical procedures. We take pride in keeping up-to-date with current technology while maintaining a modern, yet comfortable office environment. You can also contact our office online. Dr. Hoffman, Dr. B. Kissel, Dr. C. Kissel, Dr. Popofski, Dr. Ungar and Dr. Weitzman have extensive experience in medical foot care for patients with diabetes and the elderly both in the office and in an assisted living environment. Our office provides treatment to a full range of patients ages 1 to 102 years old including the athlete and the non-athlete. We know you have many choices when choosing a Podiatrist in Berkley, MI, so we have made requesting an appointment a simple process via our Website. If, for any reason, you cannot keep a scheduled appointment or will be delayed, please call as soon as possible. Charges may be incurred for appointments cancelled less than 24 hours before scheduled appointment time. We do not want our patients to feel that the cost of medical treatment will create a hardship. Please call our office to discuss any questions you may have with our staff. 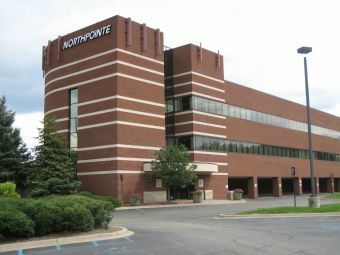 NorthPointe Foot & Ankle is an upscale, modern facility that can provide all aspects of medical foot care to our patients. The comfortable modern feel to the office is an example of our continued efforts to bring modern podiatry to the community.